Toast is such a basic food that it often isn’t even thought about in terms of being something that one would crave. The secret to desirable toast is all in the topping combination. 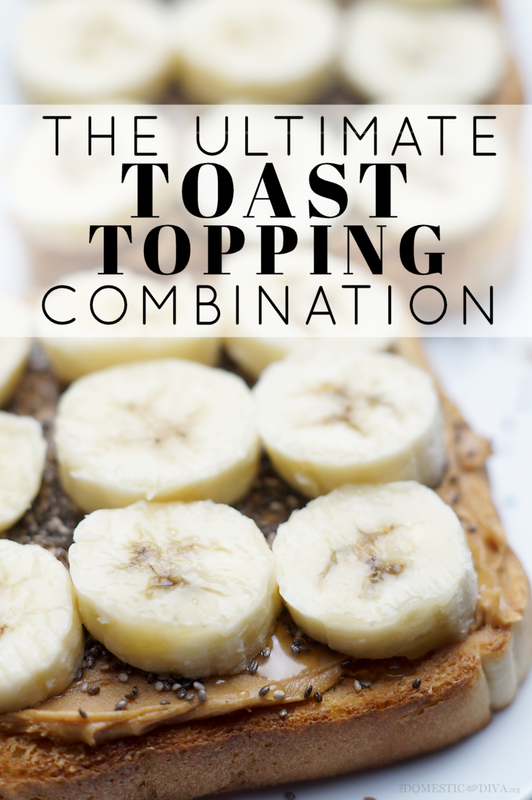 Today I want to share with you how to put together, what I would easily consider, the ultimate toast topping combination. For this recipe, you’ll need a few ingredients that you probably already have in your cupboards. Start by toasting 2 slices of bread. After toasting, top with desired amount of peanut butter onto each piece of bread. Drizzle in zig zag motions with desired amount of honey- more or less depending on how sweet you want your toast to be. Next sprinkle both pieces of toast with the chia seeds. Then cut a banana into 18 slices and place on top of your toast in 3 rows of 3 pieces each. That’s it! This toast takes less than 5 minutes to assemble and is completely satisfying when it comes to getting rid of that hungry feeling. I love to eat it first thing for breakfast or as snack between meals. I also love that this uses one of my favorite ingredients, Chia Seeds. I love to make my own yogurt and chia seed jars that pairs perfectly with fresh fruit or by adding them into a smoothie, but adding them as a toast topping has quickly become a new favorite way to eat Chia. What is your favorite toast toppings? Super easy and simple toast, that like you said it completely puts away that hunger feeling if you have it between meals. Thank you Heather! Yummm! Peanut butter and banana are my favorite combo (and even better when you add chocolate!) . This is a great idea for breakfast or a snack. Sounds delicious. Can’t wait to try it out:) Great way to eat Chia seeds. Yum! My favorite way is to do 45 calorie Sara Lee wheat bread with sliced banana and almond butter from Trader Joe’s. 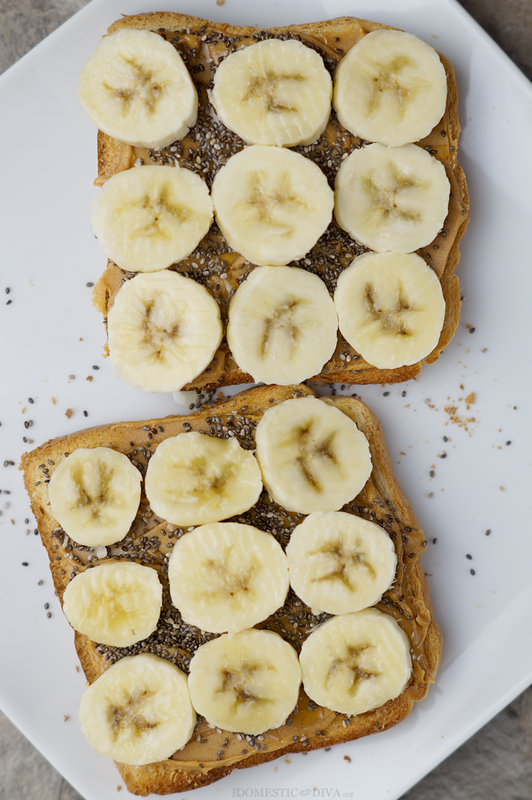 I’ve never added Chia seeds but it’s certainly worth a try since they’re so good for you!